land that is overgrown with brush and High Grasses. 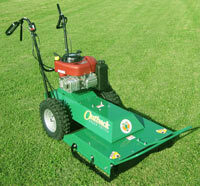 used for lawn renovation, mowing, and debris management. 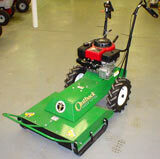 are well known for their durability, integrity, and innovation. 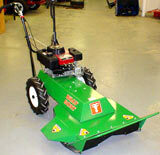 Billy Goat lawn vacuums and blowers have earned a reputation for performance and reliability. 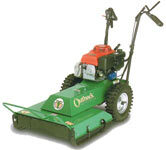 Say good-bye to sickle mowers, hand held cutters, chainsaws, etc. and other problem vegetation at the rate of 2/3 acre per hour.